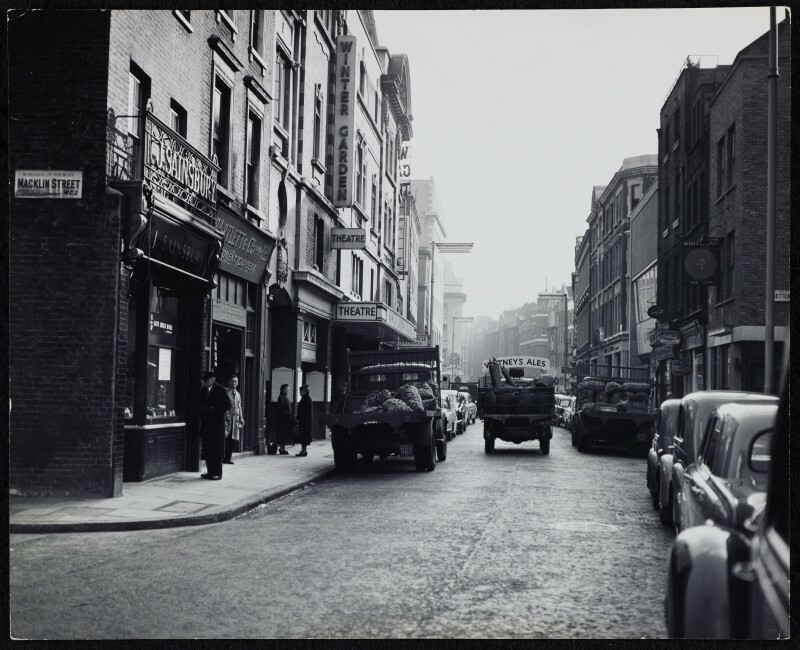 Photograph showing Drury Lane (looking south from the Macklin Street junction), including Sainsbury's first shop at number 173 on the left of the photo. Other features on the photo include the Winter Garden Theatre, a Watney's Ales dray lorry, and The Sun pub. A glimpse of the new self-service Sainsbury's store can be seen on the right - the then modern building set back a little from the other frontages. The photograph was taken shortly before the Sainsbury's store closed in 1958 (there is a notice in window regarding closure of store, which is not legible in this photograph, but which can be seen in SA/BR/22/D/14/1/8).